1. Stable and durable. It is visually an eye-catcher! 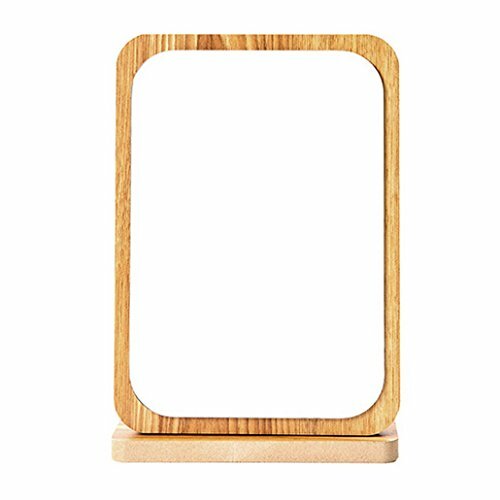 CLASSY AND STYLISH-Both your vanity and vanity demands beauty make-up mirror And with the EXTRA HEAVY base, you'll never have to worry about accidentally knocking it over whether it's on your tabletop or countertop, desk or dressing table. ADJUSTABLE MIRROR- Swing and stay in any position, the mirror makes it more convenient for makeup and hairdressing. View More In Bathroom Mirrors. If you have any questions about this product by Restbuy, contact us by completing and submitting the form below. If you are looking for a specif part number, please include it with your message.